The new 2017 Mercedes-Benz GLC 43 AMG perfectly marries raw power and refinement in one neat package. Boasting a bounty of standard and available features, the GLC 43 AMG is sure to turn heads around Milton and Hamilton. Stop by our state-of-the-art showroom and see this luxury SUV for yourself at Mercedes-Benz Burlington in Ontario! Awarded the “Best New Premium Utility Vehicle” by the Automobile Journalists Association of Canada (AJAC), the Mercedes-Benz GLC 43 AMG is home to many impressive amenities that are sure to make each drive quite the experience. A Burmester® 13-speaker Premium Sound System will allow to keep your favorite tunes pumping clearly, and standard 4MATIC capabilities will prove useful during inclement weather conditions. In the performance category, the GLC 43 AMG sports a V-6 biturbo gasoline engine with a 9-speed automatic transmission, which puts out a hefty 362 hp and 384 lb-ft of torque. On the inside, you and yours can sit in the lap of luxury thanks to heated front and rear seats. And, while in the captain’s chair, you can enjoy an 8-way power-adjusted seat, and a freestanding 7-inch display with touchpad controller. With premium features like these, you may just feel right at home in your new GLC 43 AMG. 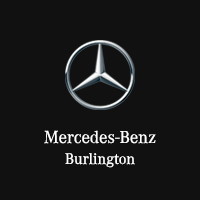 Get in touch with Mercedes-Benz Burlington to finance this amazing SUV!